With the Affordable Care Act set to go into effect on Oct. 1, there is an ongoing debate as to whether the law will keep insurance premium costs down, if employers will continue to offer insurance for their employees, and how the federal law will impact Americans. 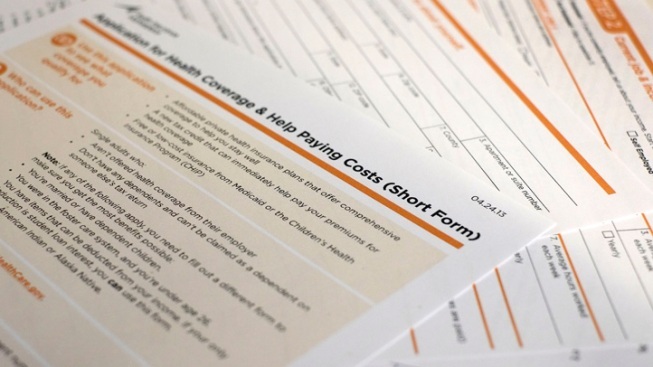 "Obamacare Isn't Causing Employers to Cut Worker Hours: White House"
"Plenty of options under health care law, studies show"
New government tax credits would allow for the monthly price of some health policies to drop to as little as $100. "Boomers may benefit most from Obamacare"
An analysis done by reporters at The Wall Street Journal shows that older workers' share of their insurance premiums could fall dramatically, leaving them with less to pay than younger, healthier people with similar incomes. "Obama's Affordable Care Act Looking a Bit Unaffordable"
The National Journal has an analysis of new coverage and cost data that reveals premium prices will be higher in the individual exchange than what some pay for employer-sponsored benefits.